KC and Applebee's Keep It Comin'! The Sunshine Band and I have always been about bringing people together on the dance floor, and now we’re doing it over the dinner table! “Keep It Coming’ Love,” our 1977 hit single, was recently used to promote Applebee’s new All You Can Eat Riblets and Tenders campaign. I can’t believe it's been 40 years since some of these songs were peaking on the charts! I never imagined the creativity and artistry done back then would still be popular today. But I’m thrilled the song is in the campaign. 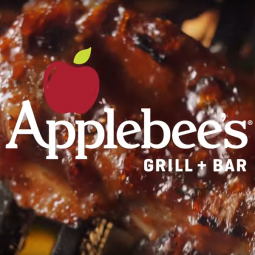 I'm always excited when national brands like Applebee’s license my songs to use in their commercials. The ad also ranks in Clio’s Top Ten Shazam’d songs from commercials which you can check out HERE! Copyright © 2019 KC & the Sunshine Band. All Rights Reserved.